Welcome to Dental Playas in Rosarito, On these pages, we want to introduce you to our range of services and to show our quality of professional service, equipment and materials that go into every dental procedure. We look forward to serving you in Rosarito. 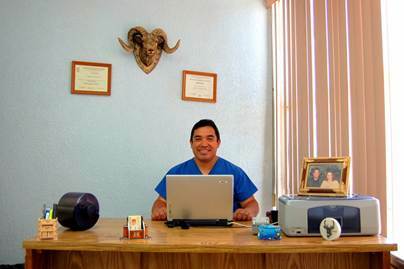 Doctor Felipe Alberto Xolalpa Rojas has served the community of Playas de Rosarito and the surrounding area for 17 years in one place; serving national and international patients who are accustomed to the highest standards of dental care. Come and visit Dental Playas with your dental concerns, and Dr. Xolalpa will gladly work with you to provide a solution. Dental Playas offers general dentistry, as well as specialized treatments in orthodontics and implants. Bridges and Crowns in different materials and alloys (metal porcelain, metal-free, with nuclei of zirconia, gold, porcelain, and resin).